PayPal is one of the most used popular payment gateways used in the world. In Australia, PayPal in is the best option that you can use to receive and send money online. Most of the internet marketers are trusting this payment option, and people are using PayPal all over the world. One of the main reason is that it is the easiest way to send and receive money because of some great features. More importantly, it allows users to receive multiple benefits. As a payment vendor, it will give you complete control over your payments, and it will help you if someone is spamming. However, if you are a regular user, then you must be aware of the fees structure of PayPal payments in Australia. Their fees vary from country to country, and there are various other technicalities that you must pay close attention to as a regular user. The charges also depend on multiple factors and the nature of the transaction as well. We will be sharing few essential details about the payment structure for using PayPal in Australia. Sending money to your relatives or friends in Australia is free. It is only free if you are using the current balance from your PayPal account. However, if you are using your credit card or debit card to fund extra money, then you will have to pay the fees. If you are sending money from the available balance in your PayPal account, then there are no fees involved for the sender and the recipient. If you are going to use a credit card or debit card to send the money to your relatives in Australia, then it will charge 2.4% and AUD $0.30 on every transaction. There is another option that you can use which is paying for goods and services. If you are using this option for paying for the services, then you do not have to pay any fees as a buyer. However, the recipient of the funds will be charged with standard PayPal fees. This fee structure is only for the people who are sending payments within the country. If you are living in Australia, and you are at the receiving end, then there are multiple fees involved in the process. However, it also depends on the nature of the transaction. 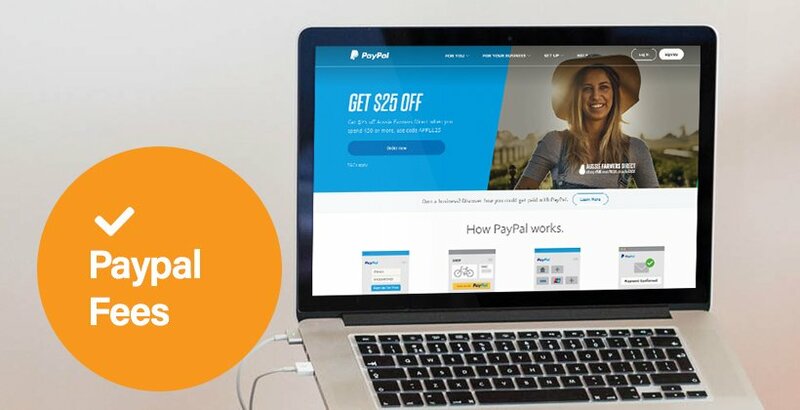 If you are receiving payments on your PayPal account through your website, then PayPal will charge 3.4% + $0.45 per transaction. If you are a business, and you are receiving payments on a monthly basis, then the fee structure will vary according to the amount received. For up to $5000, 3.4% and $0.45 will be charged. If the payment is in between $5000-$15000, then 2.9% and $0.45 will be charged. If it is in range of $15,000-$150,000, then the fees will be 2.7% + $0.45. Any amount above $150,000 will be charged with 2.4% + $0.45 per transaction. The other option is bank transfer, and if the amount is above $150, then it is entirely free. However, if it is below $150, then PayPal will charge $1 AUD . There is no bank deposit fee if you are depositing money into your bank account from your PayPal account. There are multiple fees involved when you are receiving money from an international source. There will be a transaction fee on each transaction. First of all, the PayPal will charge 3.9% per transaction, and there will be a fixed fee on the currency as well. If you are doing business selling products or services in foreign currency, then it will charge 2.5% on the transaction value. This foreign exchange fee depends on the exchange rate of the currency in Australia. If you are transferring the payment to your bank account after receiving it in your PayPal account, then there will be no fees for the amount above $150. However, if it is below $150, then $1.00 will be charged per transaction. The only thing that you will have to worry about is the foreign exchange fee after receiving the payments from another country. You will have to check the currency exchange rate to get an accurate fee. However, there is no Australian bank deposit fee, and no bank will charge any amount for receiving the money from PayPal accounts. If you are using PayPal to send money to another country, then there is a different fee structure for it. If you are sending the money to your friends or family members in another country, then you will have multiple options to do so. First of all, if you are paying for the goods and services, then there will be no fees involved. If you are buying something, later the buyer is not charged with any extra amount of the PayPal services. However, the recipient will have to pay the standard PayPal fees. If you are sending money to your family and friends outside the country from the available balance in your PayPal account, then 1% of the total transfer will be charged. If you are using your credit cards or debit cards to send money internationally, then it will charge around 4% of the amount. However, there is also $0.45 charged based on the currency sent. However, the average amount charged is 4% of the total amount sent. If you are looking for extensive billing system for online payments, then merchant integration is the best option for you. PayPal offers some excellent options if you want to use it for the online payments. You can use multiple options by integrating accounting software with your PayPal account. Moreover, you can also use it with numerous e-commerce platforms, and many online entrepreneurs are using this specific option to receive payments from all over the world. If you are living in Australia, then you can also use PayPal Here which is a PayPal’s contactless payment device. You can use accounting software like Xero, and MYOB which makes it easier for you to manage business operations.